Wow leuke soort en dus ook mooi vastgelegd. Très belle observation bien captée! Great shot of this beautiful Woodcreeer, Hennie. BEAUTIFUL image Hennie.Good compo, great setting tack sharp and super background. Great pose and excellent detail for this striking bird. 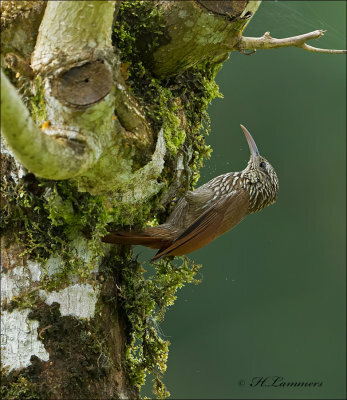 V.
Perfect details of this Woodcreeper. Excellent. excellent capture and great details!